We launch into 2008 without making any New Year resolutions (I mean who keeps them anyway) and a fandabbydozy offer on all of our greeting cards. Order 2 cards and get a third absolutely free. 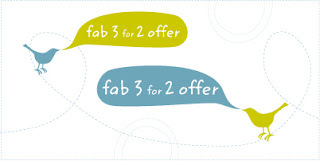 This extremely generous offer is avaiable form 25th January until 31st January. If you are ordering online at Rubbergob be sure to let us know in the comment box at checkout which additional card you would like. For groovy retailers you can email customerservice@rubbergob.com.au to place your order.